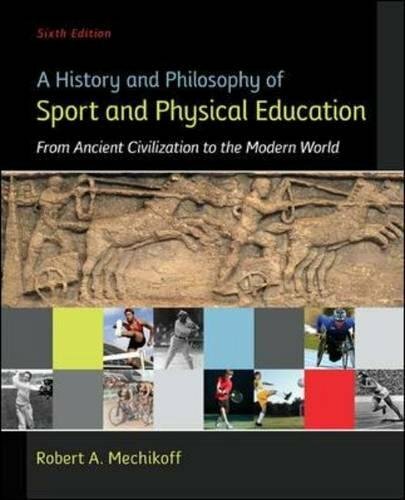 Mechikoff’s A History and Philosophy of Sport and Physical Education offers an engaging and informative overview of the philosophy of sport from Egypt to Ancient Greece and on to the present time. From Mesoamerica and Ancient Greece to the Olympic Games, the book touches on religion, politics, social movements, and individuals as they contributed to the development of sport and physical education. An extensive array of pedagogical tools--including timelines, comprehensive lists of chapter objectives, suggested websites, and discussion questions--aid the learning experience.